The Commonwealth Youth center For Excellence (CYCE) is a corporation and a center to be built in Rwanda. The Commonwealth Youth center For Excellence (CYCE) is a corporation and a center to be built in Rwanda that is soon going to start operating from countries to countries that are members of the Commonwealth Community . LLC or Corporation - Which Should I Select for My Business? Everyone loves to give advice to new business owners. One common piece of advice goes like this: "Don't form an LLC. Form a corporation." Or, "Corporations are too complex. Just form an LLC." Confused? Let's sort out the differences between an LLC and a corporation so you can decide which business type is best for your business. LLC or Corporation - What's the Difference? Business organizations (not including sole proprietors) must register as a specific business type with the state in which they do business. All states recognize businesses formed as corporations, limited liability companies (LLCs) or partnerships, or variations of these forms. For a new business, it's often difficult to know which type of business is the best, considering all factors. This article gives you some information on differences and similarities between LLC and corporation business forms, the two most popular business types. There's no such thing as a "limited liability corporation." An LLC is a limited liability company,. It's not a corporation, and you don't incorporate a business as an LLC. Both register with a state, but an LLC doesn't "incorporate." Pass-through businesses are those in which the profits and losses of the business pass through to the owners or shareholders. In other words, the business income is considered as the owner's or shareholder's income, and the owner/shareholder pays the tax on his or her personal tax return. Limited liability companies, like partnerships, are pass-through entities. Corporations are separate businesses entities. The profits and losses of the corporation are taxable to the corporation, not the owners (shareholders). An LLC is formed by one or more business people, as owners. The owners, called "Members," file Articles of Organization and set out an Operating Agreement. An LLC is a pass-through type of business, because the profits and losses are passed on to the Members depending on their share of membership. A Corporation is a separate legal entity. It is formed by filing corporate organization forms in the state where the corporation is located, and by designating shareholders, each with a specific number of shares. The corporation also creates a Board of Directors to oversee the corporate business. How are Corporations and Limited Liability Companies Alike? Both corporations and LLCs limit the liability of the owners/shareholders from the debts of the business and against lawsuits against the business. A corporation has a profit of $350,000 for 2007. That profit is taxed at the corporate tax rate of 35 percent. An LLC has the same amount of profit of $350,000. Its two Members each have a 50 percent share in the LLC, so each one is taxed on $175,000 of income on his or her personal tax return. The income from the LLC is included in the 1040 on line 12, and is considered along with other income for that person or couple for that year. An LLC may choose to be taxed as corporations, if this is advantageous to the company. The tax consequences to LLC and corporate owners are different. Owners of a corporation are not paid, but they receive dividends; they are taxed on their dividend income. Owners of an LLC are taxed like partners in a partnership; that is, they receive a distributive share of the profits each year, and pay taxes on that share on their personal tax returns. Owners of an LLC also pay self-employment tax on their income from the business, while corporate owners who work in the business are considered employees and pay tax on their employment income, along with FICA taxes. How you are paid - and taxed - as an owner of an LLC or a corporation could be a major factor in determining which form of business you choose. Just to muddy the waters, you might want to consider forming an LLC and then electing to have the LLC taxed as a corporation or S corporation. While this is more complicated, it combines the advantages of the LLC with the tax benefits of a corporation. Who Can Help Me Make This Decision? 1. An attorney who has experience with both LLC's and corporations. A good attorney will consider LLC's in addition to traditional corporations. 2. A CPA who understands the tax differences between LLC's and corporations. This article about 7 questions to ask before deciding on a business type might also be helpful. CEO – Chief Executive Officer – This person is the highest ranking corporate officer. They are the head of management for an organization. They report to the board of directors. They make high-level decisions about policy and strategy. The people that report to the CEO include: The CBDO (Chief Business Development Officer), CFO (Chief Financial Officer), COO (Chief Operating Officer), CMO (Chief Marketing Officer), CIO (Chief Information Officer), CCO (Chief Communications Officer), CLO (Chief Legal Officer), CTO (Chief Technology Officer), CRO (Chief Risk Officer), CCO (Chief Creative Officer), CCO (Chief Compliance Officer), CAE (Chief Audit Executive), CDO (Chief Diversity Officer), and CHRO (Chief Human Resources Officer). Steve Jobs was an example of a top CEO. To find out more about these other chief officer positions, click here. Check out: The Best Performing CEO’s in the World. COO – Chief Operating Officer – This person is responsible for the day to day operations or an organization. Not all companies have one. In 2006 more than 60 percent of Fortune 500 companies did not have a COO. This person may also be called the company’s President. This person could be thought of as the second in command behind the Chairman or CEO. An example of a top COO is: Tim Cook was the COO for Apple before replacing Steve Jobs as CEO. Check out: List of Famous Chief Operating Officers. CFO – Chief Financial Officer – This person manages the corporation’s financial risk. They deal with data analysis, financial planning and record keeping. Although they report to the CEO, they may also sit on the board of directors. Peter Oppenheimer is Apple’s CFO. Check out: Bonus Babies . . . The Best Paid CFO’s. CMO – Chief Marketing Officer – This person is the head of sales, product development and all things marketing-related. The CMO can report to either the CEO or COO. Their job is to obtain growth through sales and marketing. The CMO has become more commonly discussed in recent years. Check out: The Chief Marketing Officer . . . A new Boardroom Role. CIO – Chief Information Officer – This person is the head of information technology. They may report to the CEO, CFO or COO. They must create strategic goals to increase information accessibility and manage integrated systems. The CIO and CTO roles are often confused. Check out: What is the Difference Between CIO and CTO. Like a corporation, a limited liability company or "LLC," is a separate and distinct legal entity. This means that an LLC can get a tax identification number, open a bank account and do business, all under its own name. How Does an LLC Protect You? One of the primary advantages of an LLC is that its owners, called members, have "limited liability," meaning that, under most circumstances, they are not personally liable for the debts and liabilities of the LLC. For example, if an LLC is forced into bankruptcy, then the members will not be usually be required to pay the LLC's debts with their own money. If the assets of the LLC are not enough to the debts and liabilities, the creditors generally cannot look to the owners for payment. Their debt was with the LLC, not the people that owned the LLC. LLCs aren't bound by the same rigid rules of corporations, but this doesn't stop them from being just as useful. It doesn't matter if you're a one-man business or if you have hundreds of employees, an LLC keeps protecting you while allowing for expansion and growth. With an LLC, there's no requirement for special meetings, extensive corporate records, or many other formalities. Limited liability companies are even flexible when it comes to taxes, offering lots of options so you can create a tax plan that works for you. This simplicity, protection, and ease of use have made forming an LLC a popular choice for small businesses in America. LegalZoom makes it easy and affordable to form an LLC. Get started by answering a few questions about your new business. We use your answers to assemble your LLC documents and file them with the Secretary of State, and you will receive your completed LLC package by mail. LLC ownership can be expressed in two ways: (1) by percentage; and (2) by membership units, which are similar to shares of stock in a corporation. In either case, ownership confers the right to vote and the right to share in profits. Before forming a limited liability company, the business owner or prospective business owner should become familiar with the advantages and disadvantages of an LLC and how they compare to those of other business entities. 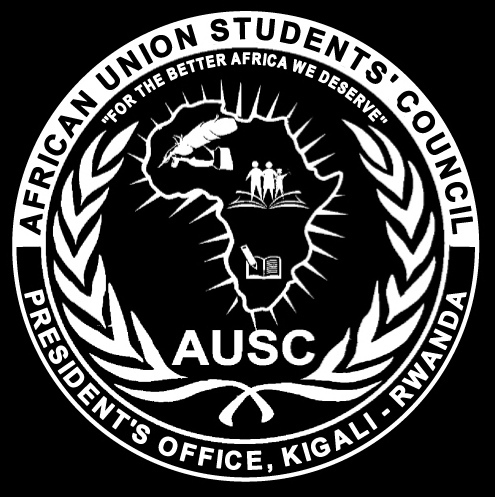 AUSC International Communication Office shares Latest Opportunities for Africans: Scholarships, Internships & Fellowships for Africans from Opportunities for Africans & Scholarship Positions Newsletters, Updated on Friday Published on November 9th, 2017, 7:30 a.m, Kigali-Rwanda. AGACIRO Beta Maximal International Corporations’ Start (ABMICS)”For Bringing New Jobs in Africa” Officially Created at African Union (AU) Headquarters-Wednesday ,November 1st, 2017-Addis Ababa, Ethiopia.